PETALUMA, Calif. /California Newswire/ — Edgewood Partners Insurance Center (EPIC), a retail property, casualty insurance brokerage and employee benefits consultant, has added Sama Hershey Davis in their North Bay employee benefits consulting practice. Hershey Davis brings 15 years of experience in healthcare, benefits consulting, human resources, compliance, wellness and client relationship management to EPIC. "Our clients will benefit significantly from Sama's experience, knowledge and wide- ranging skill sets," said Bill Merget, Principal of EPIC's North Bay Division. "Sama shares our client-focused, people-first values and beliefs and knows how to drive results. We are thrilled to have another professional of her caliber joining Vic McKnight and our benefits team here in Petaluma." In her new role with EPIC, Hershey Davis will provide client service leadership, including overall strategy, coverage negotiations, compliance consulting and the coordination and management of internal and external resources. This will include ensuring the timeliness and accuracy of all deliverables, overseeing client service teams and managing a book of business. Hershey Davis will also have a new business production role, bringing new clients to EPIC. Before joining EPIC, Hershey Davis was an account executive at Woodruff Sawyer & Co in Novato, Calif. Prior to Woodruff Sawyer, Hershey Davis served as an employee benefits account executive at ABD Insurance and Financial Services and held Human Resource positions at Pacific Pulmonary Services and Fireman's Fund Insurance Company. "Sama and I worked closely during our time together at ABD," said Mike Ryan, Principal of EPIC's North Bay Property & Casualty Practice. "She is a terrific person and a strong, committed client advocate. I am very pleased and excited to be working with Sama again here at EPIC." 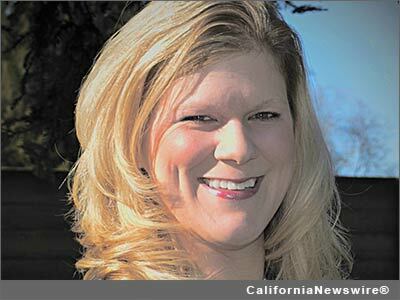 Hershey Davis attended California State University – Sacramento, where she earned a Bachelor of Science (BS) Degree in Business Administration with a Concentration in Human Resource Management. Hershey Davis also served for more than five years on the Board of Directors of the Professional Association of Sonoma County (PASCO) for Human Resources, one of the largest professional organizations in the North Bay. "As a Sonoma County native I have deep personal and professional roots in the North Bay and I'm thrilled to be joining a team that shares my history of commitment to our region," said Hershey Davis. "I have long known and respected Mike Ryan, Bill Merget and other members of the EPIC team. In this regard, it's a bit like coming home again. I couldn't be happier to be here." The 8th largest broker based in the U.S. West, EPIC has more than 320 team members operating from ten offices across California (Los Angeles, Irvine, Ontario, Inland Empire, Fresno, Folsom, San Francisco, San Mateo, Petaluma and San Ramon) and in Chicago, Denver and New York. With more than $80 million in revenues, EPIC ranks among the top 40 retail insurance brokers in the United States. The company's strategic plan calls for more than tripling revenue over the next five years ($250 million by 2018) and further expansion across the country. For additional information, please visit http://www.edgewoodins.com/ . EPIC, 5350 Old Redwood Highway, Suite 600, Petaluma, CA 94954. Phone: 707-794-7417.